Saul of Tarsus was edified by the preaching and praying ministry of Ananias and other disciples in Damascus. For several days, he prayed with them and heard their teachings and testimonies concerning Jesus Christ, the Risen Lord. So powerful were these moments of instruction that Saul “began at once to proclaim that Jesus in the synagogues, that He is the Son of God.” (Acts 9:20) Indeed, these days among the disciples of Damascus strengthened Saint Paul’s conviction of Jesus’ resurrection. Several Old Testament prophets predicted our Lord Jesus Christ’s resurrection. Isaiah the prophet foretold of the suffering Servant who would die to redeem humanity, “[giving] his life as an offering for sin” and justifying many through his suffering (Isaiah 53:10-12). How is our faith in the risen Christ? Do we comprehend that after His suffering and death came resurrection? Do we firmly believe, therefore, that Christ is risen from the dead? 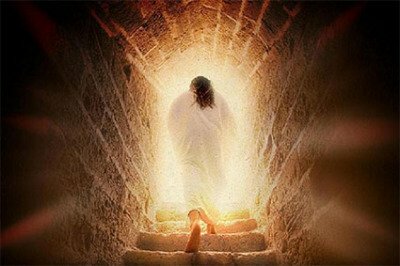 How do we proclaim that Christ is risen and alive? These questions are crucial for all of us who call ourselves Christians. Today, ours is the task of proclaiming the good news that Christ truly rose from the dead. Nevertheless, the effectiveness of our proclamation depends upon how much we allow the preaching, teaching, and prayers of Christ’s Church to edify us. As Saint Paul, we must seek and appreciate the opportunities to grow in our understanding and appreciation of the Faith the Church holds and professes to be true. We do this when we participate in daily and Sunday Mass, listen to the Word of God proclaimed in Scripture and sermons, and study the teachings of the Church in the Catechism of the Catholic Church. These things, among others, serve to strengthen our ecclesial faith and enable us to believe as the Church of Christ believes. In addition, how convincingly we proclaim that Christ is alive also depends upon the personal encounters we have with Christ that serve to strengthen our personal faith. Christ is constantly meeting us on our journeys to Damascus to enlighten us; to speak to our hearts about what we are doing and how we are living; to turn us back from our misguided ways, and to reveal that He is the Lord. We encounter Jesus Christ when we consistently turn to God in prayer throughout the day; seek His wisdom and guidance; open our Bibles and hearts to listen to His word, and trust that He lives and works with power and goodness among us. Let us joyfully proclaim that Christ is risen and alive, that Christ’s resurrection confirms all that He said and did, and fulfills what God has promised to His people. Alleluia!